OSMeta is an extension originally provided by the people from Joomlashack, though currently the extension is offered through a dedicated extensions website, alledia.com. 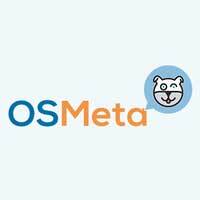 Their main purpose is to provide training for open source applications like Joomla, Wordpress and Drupal, but they also have a nice suite of small extensions, some of which are quite usefull, When it comes to SEO, their extension OSMeta seems like a nice addition. OSMeta is meant to be used as a central dashboard for managing your Joomla articles metadata. There are more extensions that provide this functionality, but some of those are quite extensive with a lot of additional features and complexity. If you just need a central overview, OSMeta is a really nice extension. Also, it does not add a separate layer of administration, like others sometime do. It does not matter if you create your metadata within the Joomla article, or from the central dashboard, it is the same (core) field you are editing. This means you could have the central dashboard for the main administrator, while less powerfull users can simply create an article with corresponding metadata. As an additional feature, OSMeta allows you to set your page titles. Many find it difficult to set correct page titles in Joomla, and this extension can help you with that. And even better: also the page title can be maintained within the Joomla articles: the field Search Engine Title has been added as a separate field under the Publishing options! Generate descriptions: This button can be used to generate a metadescription in case it is not filled yet. The generated metadescription is simply pulled from the first part of the article, but it seems to be a bit longer then the 160 characters that Google requires. It could serve as a nice starting point to edit it to a better one though. The best results are achieved when you leave all menu-item settings for metadata AND page titles empty. In this situation, OSMeta does a really nice job of creating them, also for the page title. Without OSMeta, an article linked to a menu-item has a page title corresponding to the name of the menu-item. With OSMeta, it is pulled from the article title (if entered in OSmeta of course). This is a big improvement. Even if you override the default page title using the Page Display options in the menu-item, it is still pulled from OSMeta. I only had some issues with the Homepage settings. As long as the homepage menu-item is a Single Article, the homepage settings from OSMeta were nicely used. However, when the menu-item type was set to Featured Articles, this was no longer the case, even though this should have been the case. Maybe this is something that still needs to be improved. Also, the settings for other blog-views and category views cannot be set in OSMeta. If you need that, you should look at other extensions, this is not what OSMeta is made for. You can use the basic version of OSmeta for free. For many sites, this provides all functionality that you need. However, there is also a paid version, with some extra support options. Support for 3rd-party extensions is also grwoing. In the Pro-version, K2 is already supported. Overall, this extension is highly recommended for sites whose content is mainly based on Joomla Articles, and for which an advanced SEF solution is too complex.